Sunday in Minnesota featured the Race 4 Eight and Senior Race 4 Eight number one stars in action seeking their second LAAC slam in less than a year. Mando Ortiz faced David Fink in the Race 4 Eight final, marking Ortiz’s eighth R48 final and Fink’s first. The pair are separated by 11 years but have been playing one another since 2008. Ortiz and Fink have always played close matches and this final would be no different. Ortiz was on fire in game one, finding the bottom board from everywhere on the court with both hands. “Mando can just do no wrong at this point,” stated Ortiz supporter Shorty Ruiz from the front row. Fink made several adjustments in game two, building a 6-2 lead to curtail Ortiz’s momentum. “I wasn’t playing badly in game one but Mando was just making a lot of great shots,” Fink would later say. 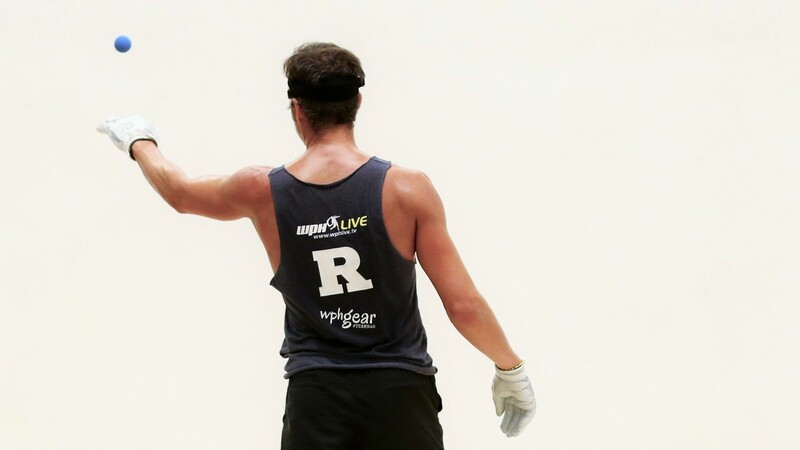 “I changed the speed and hook on my serve and that was enough to throw off Mando’s timing and allow me to get quick points and rhythm.” Fink maintained his lead with deep court kills and timely aces, ultimately forcing the tiebreaker, 15-8. 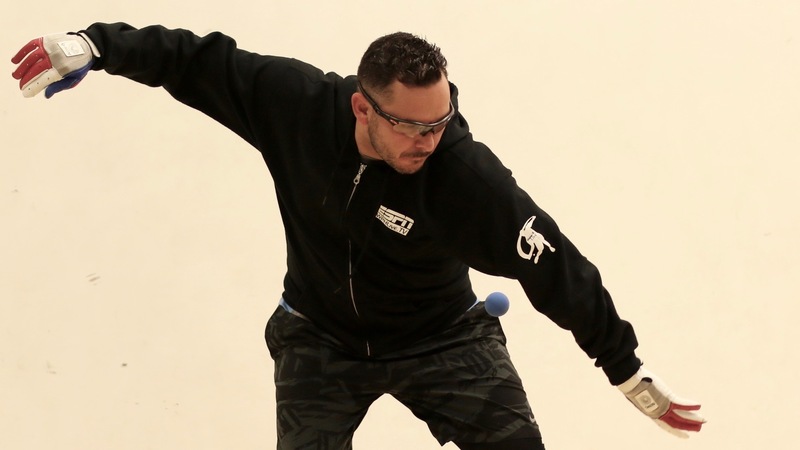 Andy Nett rebounded from a one-sided loss to Mando Ortiz in the quarterfinals by defeating Daniel Cordova and Luis Moreno to win fifth in his first Race 4 Eight start in more than a year, while Marcos Chavez defeated Jonathan Iglesias in his eighth match of the weekend to claim ninth. The second game was a formality after Alvarado’s first game collapse, as Chavez cruised to his second SR48 title of the season and fifth title in his last six SR48 starts. 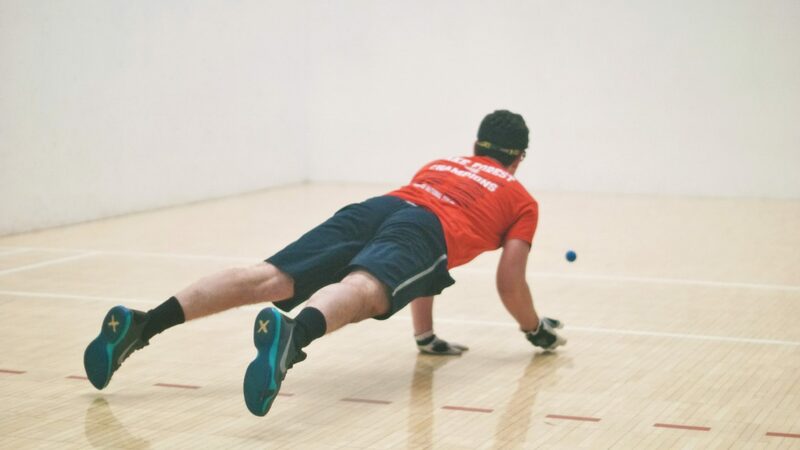 Thank you to the University of Minnesota Handball Club, The WPH staff, and all of the players and volunteers who made the Minnesota Race stop an outstanding event. 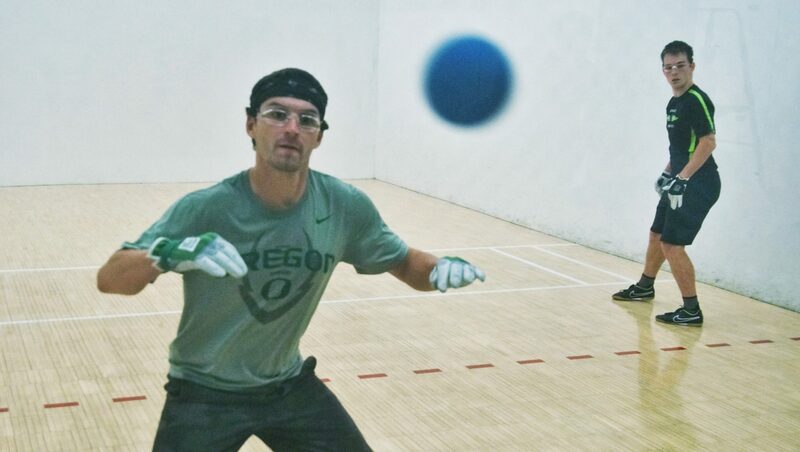 Chilly outdoor temperatures gave way to white hot play inside the University of Minnesota Recreational and Wellness Center, as the top stars on the Race 4 Eight tour battled in quarterfinal and semifinal action. In between the quarterfinals and semifinals, the Race 4 Eight stars coached one of the Race 4 Eight’s largest JR WPH clinics for juniors players. 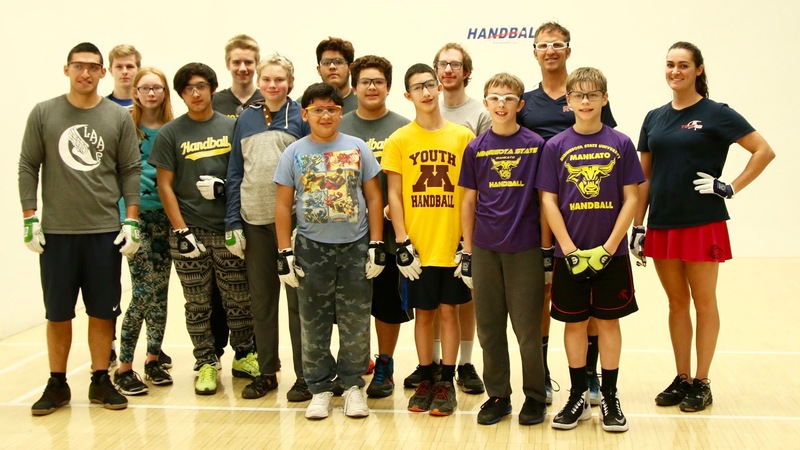 Marcos Chavez and Naty Alvarado continued on their eventual collision course in Minnesota, with both advancing to the Senior Race 4 Eight Minnesota final in straight sets wins. “I think Naty has the advantage in this one,” stated Chavez. “I’m playing in three divisions and he’s only in one.” The final between the rivals will be a can’t miss affair…it always is. The Race 4 Eight kicked off its first Race stop in Minnesota on Friday with an outstanding qualifier field, featuring hometown hero and NYAC ’15 finalist Andy Nett, Senior Race 4 Eight #1 Marcos Chavez, top 15 Race 4 Eight stars Vic Perez and Anthony Selestow, and a group of hungry young guns from Minnesota State University and Kansas. The Minnesota qualifier featured one of the most exciting Friday qualifier mornings in Race 4 Eight history, complete with upsets and incredible drama. Top-seeded Vic Perez survived a scare from Northern California’s Anthony Collado, overcoming the youngster 25-23. “Neither of us had a lead of more than three points in the entire match,” stated Perez after the 70-minute classic. Marcos Chavez led 15-13 at halftime against junior star and Minnesota State freshman Luis Bustos and scored 10 straight in the second half to advance to the main draw. Third-seeded and 15-time qualifier Anthony Selestow was the first upset victim of the morning, falling to Lake Forest College’s Leo Canales to earn Canales his first trip to the main draw at 21 years old. Fourth-seeded Dalton Beall led 14-9 before Ryan “Depeche Mode” Pesch rallied, outscoring the five-time defending Oregon state champion 16-6 in the final 22 points of the match to qualify for the first time and join Adam Bernhard as the only attorneys ever to be ranked on the Race 4 Eight. 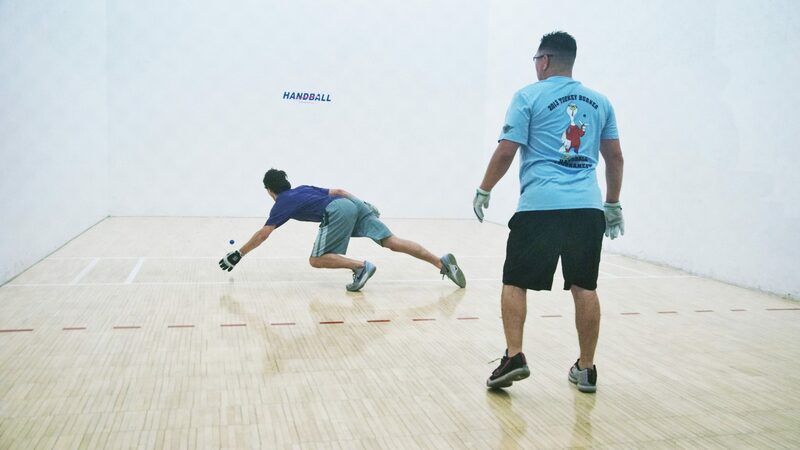 Fifth-seeded Abraham Montijo faced a 15-5 first half deficit before rallying to tie the score at 20 against Loren Collado. Four-straight 30+ shots rallies went the way of Montijo, giving him the momentum to close out the match. 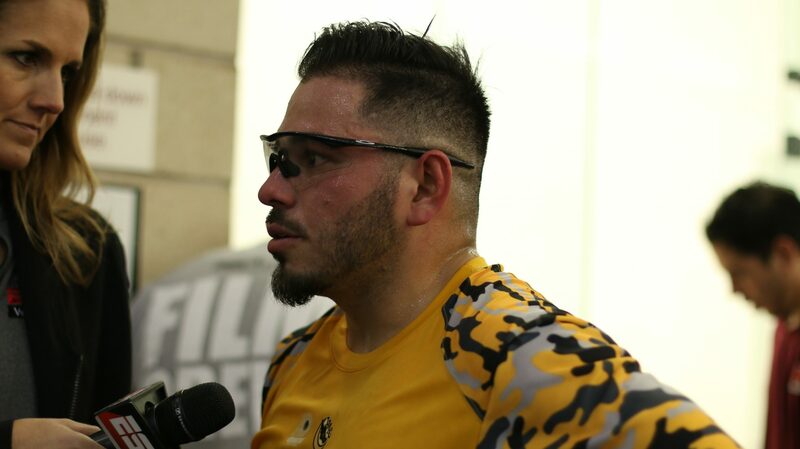 Shorty Ruiz had little difficulty overcoming Mathias Longhorst to qualify for the first time this season. Minnesota State All-American Tyler Stoffel qualified for the first time, knocking off top 35+ Master’s star Carlos Chavez. Former Race 4 Eight Elite 8 staple Andy Nett cruised in his qualifier final, defeating Max Langmack. The Race 4 Eight has experienced unparalleled parity in the past 12 months, featuring five different winners in the last seven events. 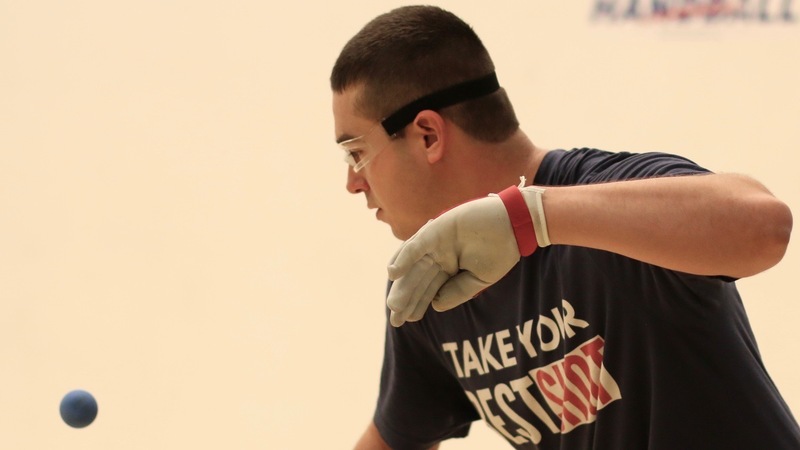 Mando Ortiz nabbed the #1 seed for the first time in his Race 4 Eight career on the heels of a spectacular Race 4 Eight 5 season and finals appearance at the 2016 Simple Green U.S. Open. Ortiz would be in search of his eighth Race 4 Eight final and second title. Sean Lenning entered Minnesota as the #2 seed and in search of his seventh career Race 4 Eight title. The rest of the Race 4 Eight Elite Eight set their sites on becoming the sixth different Race 4 Eight champion in eight events. 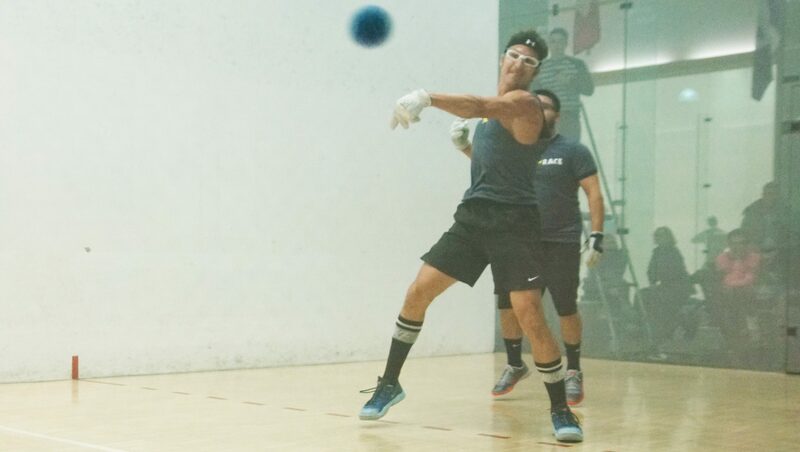 Top-seeded Mando Ortiz quickly dismissed first-time qualifier Leo Canales in two games, while second-seeded Sean Lenning needed to make second half comebacks in both games against Vic Perez to advance. 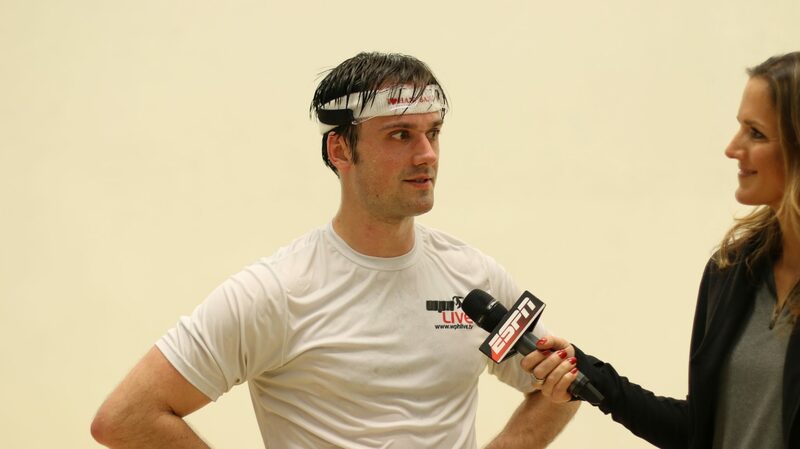 Stranded in the airport overnight and not arriving until 30 minutes before his match, Lenning found himself down 10-7 in both games before finding the game that has made him a six-time Race 4 Eight champion in overcoming Perez. 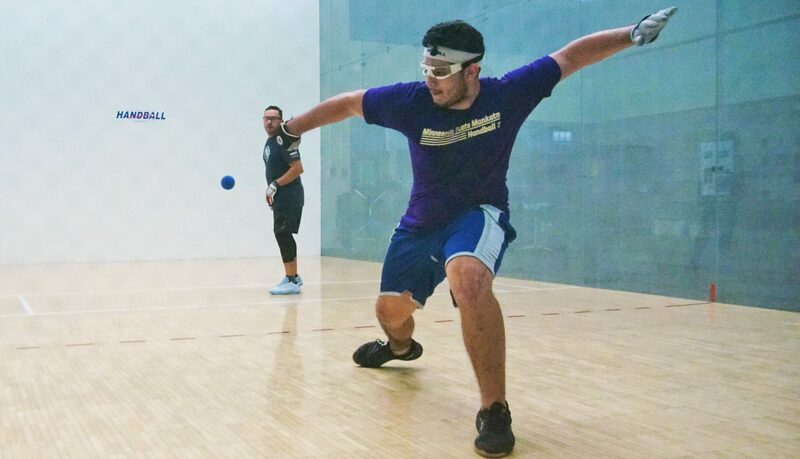 Luis Moreno blitzed Senior Race 4 Eight #1, Marcos Chavez, while fourth-seeded Emmett Peixoto was electric in taking down Ryan “Depeche Mode” Pesch in two games. 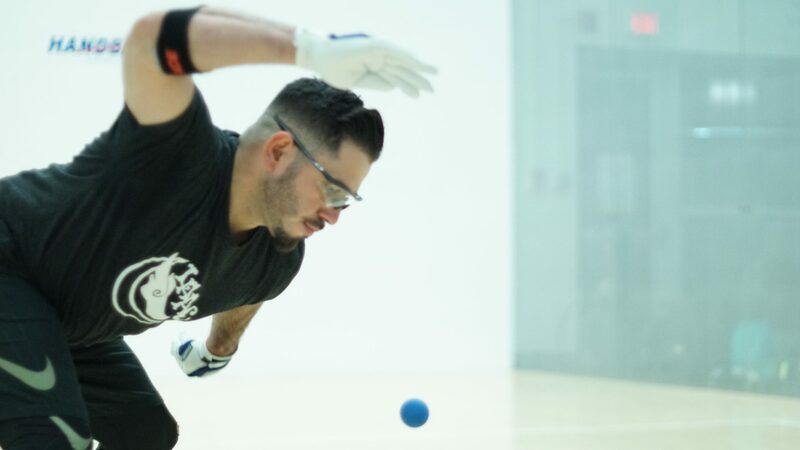 Fifth-seeded Daniel Cordova was relentless in defeating Tyler Stoffel in two games, while David Fink also skated past WPH Outdoor superstar Shorty Ruiz in two games. 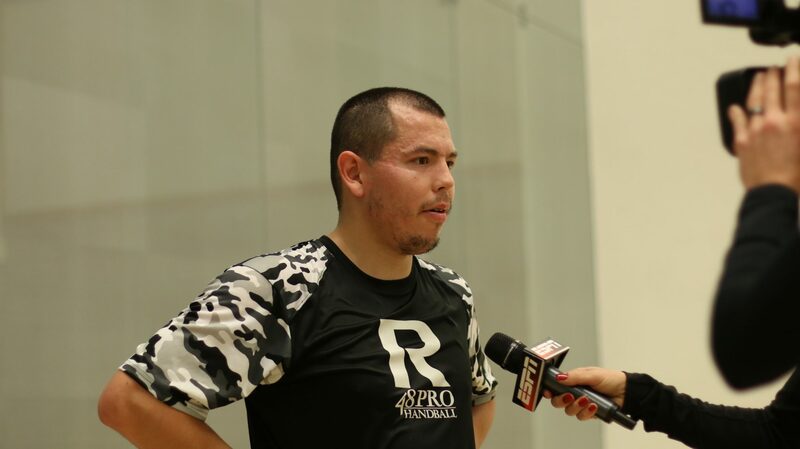 Seventh-seeded Luis Cordova matched up against junior and Southwestern rival Abraham Montijo in a rivalry that started more than 10 years ago. Cordova dropped game one in overtime, 16-14, but raised his level in the second and third games, advancing to the quarterfinals for the second time in his last three R48 starts. Eighth-seeded Jonathan Iglesias drew the qualifier’s most dangerous name, Andy Nett. Iglesias led 12-10 in game one until Nett caught fire, scoring five straight points on three aces and two kills to take a one-game lead. The second game was also close, with Nett pulling away late to advance to the round of eight. Stay tuned to this thread for updates throughout the weekend. 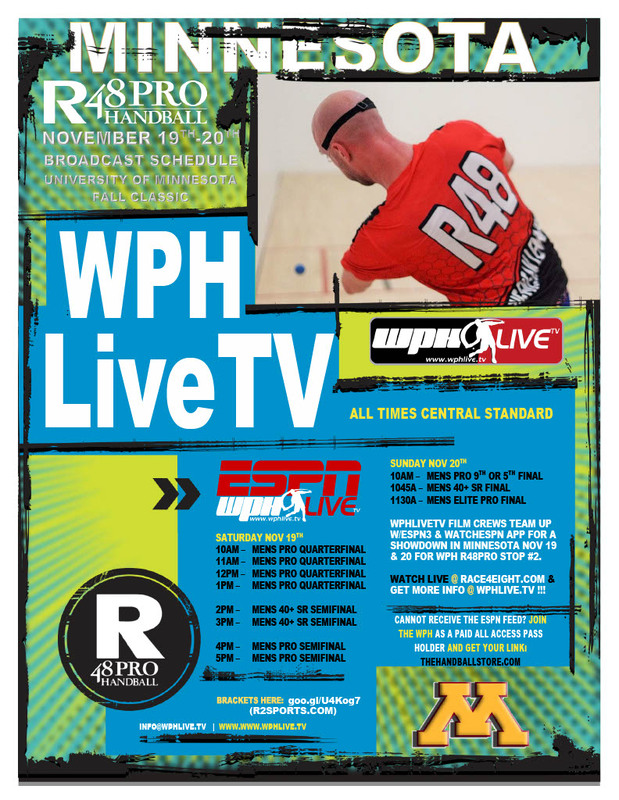 To watch the Saturday action from Minnesota starting at 10 am CST live on ESPN3, go here> and please share!